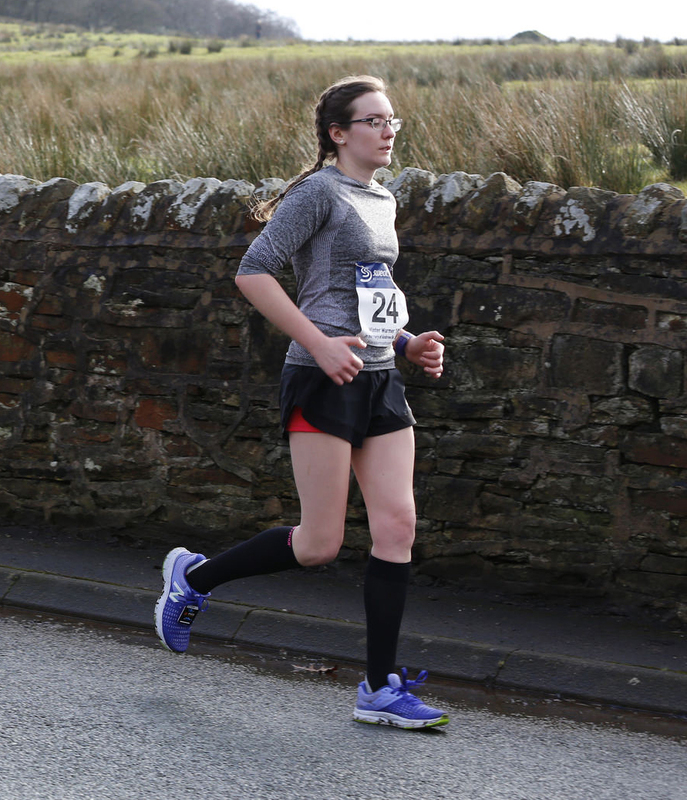 When 2017 began, I didn’t really have any big plans for running besides doing my first half marathon, and doing both the Great Manchester Run and the Wigan 10k – as I had done years previously. I certainly didn’t plan on completing a race every month. 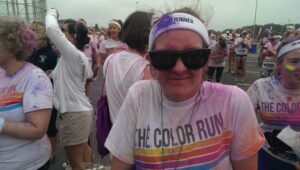 As my birthday fell on a Sunday last year I figured why not try to find a race to do. Because yes, that’s what normal people do right? I managed to find the Blackburn Winter Warmer taking place on my 24th birthday (note my race number below!) and that was my first race of the year. The Wigan Half Marathon came next in March, and of course I’d already booked the Manchester one for May. So I figured, why not find one in April – and then every other month too? And that was it. I was doing a race a month. Seven 10km races. Two half marathons. Two 5km races. One 5 mile race. One mile race. One 5 mile bike ride. And I got a pretty hefty race medal collection too. My favourites are definitely the Wigan ones and the English Half Marathon ones too. The Golden Gates – they open! Yep, I’m still amazed. The 5k Night one also glows in the dark. Find all race recaps here. Yes I’m kicking myself for this figure, but in 2017 I ran a total of 497km. 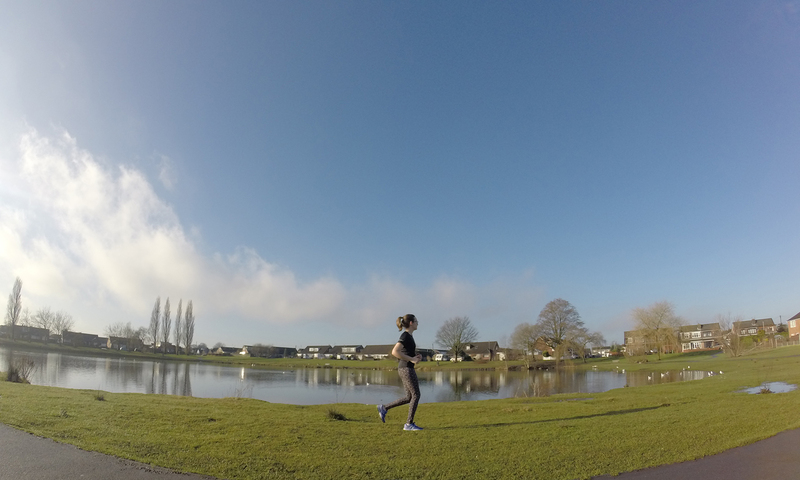 I hit 84 personal records over the course of the year, and that included finally getting my 10km under 60 minutes – more than once! January was my month with the best total distance at 75km. It makes sense because I started my half marathon training, and I actually tried really hard! My worst month for running was June at just 17km ran. Unsurprisingly, January was also the best month for hitting personal records in my training, but the most important records came in the following months. April I managed to run the Whitley 10k in 59:53, and then in September I managed to do the Wigan 10k in 58:11. My March half marathon was 2:18:18 and my September one was 2:11:41. If you want to see my full stats you can find me on Strava. It was tough going from just 2-3 races a year to doing a race every month, but I enjoyed it and had a good year of running. I managed to hit some PBs in races and I tried new distances. I also managed to visit a number of new places that I’d never been to – both alone and with family. One a month for me was perfectly doable, and I never really felt burnt out. Having a race booked each month kept my training fairly consistent. Of course I had months where my training wasn’t as great as it could have been, but overall I am happy with how my training for the year went. Usually I run for a few months then end up with a few months break, never really improving on my times. Am I doing it again this year? Nope. But that’s because I want to focus more on strength training this year rather than distance running. I do have two races booked in already however, with more to possible appear in the diary. I am doing the Wigan Half Marathon again, mainly because it’s my home town. I’m also doing something really exciting. In September I’ll be heading to Disneyland Paris to do their half marathon. I cannot wait! I am expecting to run a lot less overall this year, but I’m okay with that. My 2018 goals are slightly different this year with fitness and upcoming races are just more for a fun challenge. 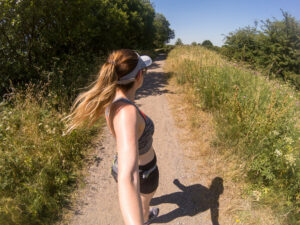 12 Weeks Into Online Running Coaching – Is It Worth It?